Bottomless Rosé you say? The perfect way to start to your Sunday! On Sunday, April 7 from 10:30am we will be hosting a free-flowing brunch with entertainment and an endless supply of Chandon NV Rosé. 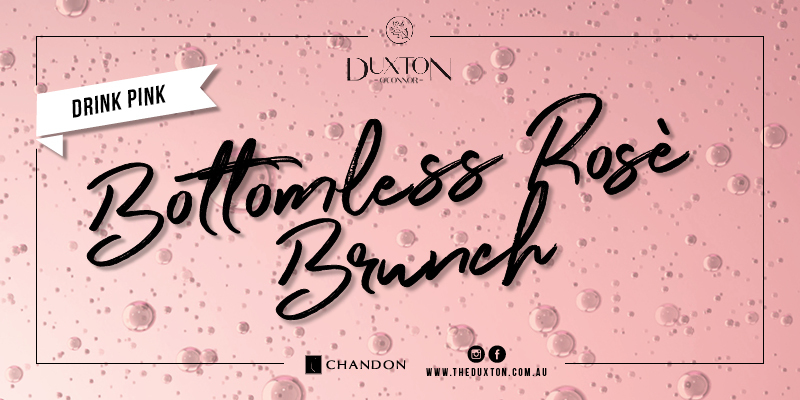 Picture a Chandon Rose Spritz on arrival and Bottomless Chandon NV Rosé with perfect eggs topped with hollandaise sauce to be enjoyed at our very first ever Bottomless Brunch. Drink Pink is the theme, “pink” the fashion colour of choice. Get in quick to book your table for this event…remember your pink attire!